Nnn BC: the size and the model of your ski boots. 75 mm: the size and the model of your ski boots and the dimension of the sole: measure of the heel, in the middle of 3 holes. If you buy multiple skis and bindings, please confirm which bindings for which skis. 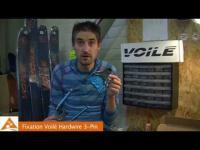 The Voile Hardwire 3-Pin Telemark Binding is the one of most unique of all telemark bindings in the marketplace. 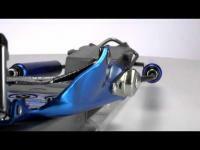 It is a combination of traditional design and new technology. 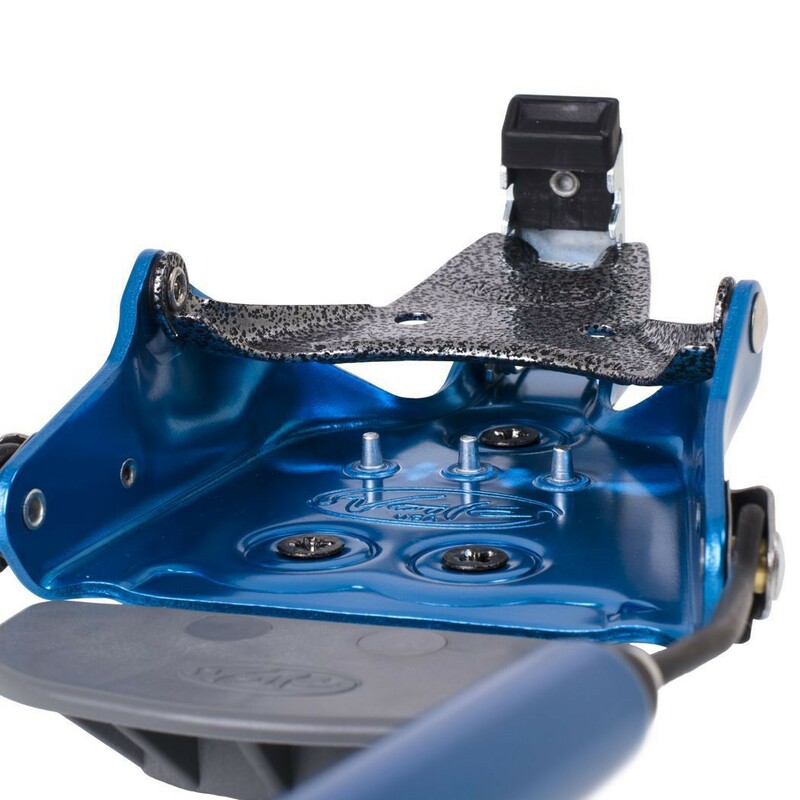 The 3-pin and bail toe box is adjustable to provide the best boot/binding fit and performance of any telemark binding available. Add the internal compression spring cartridge heel assembly and you have a uniquely versatile binding. The Hardwire 3-pin heel assembly can be locked on the LP heel for no heel resistence uphill ski touring. You will be amazed at the difference in ski touring without a heel assembly attached to your boot. 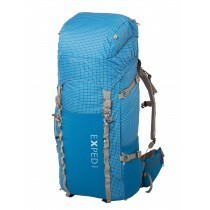 More importantly, it is a redundant system for extended backcountry touring. The tempered stainless steel Hardwire connecting rods provide superior lateral control and excellent on-snow performance. The Hardwire rods attach to the toe box via smooth brass pivot point and the toe box is guarded from wear with a thin stainless steel wafer. The Hardwire 3-Pin toe box is manufactured from 6000 series aluminum and is tempered to a hardness of T6. 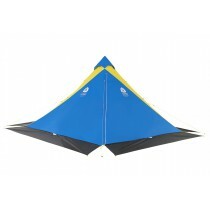 Further, the steel bail is tempered and embossed to provide incredible long term durability. The 20mm V-120 riser is molded from superior strength glass-filled nylon. 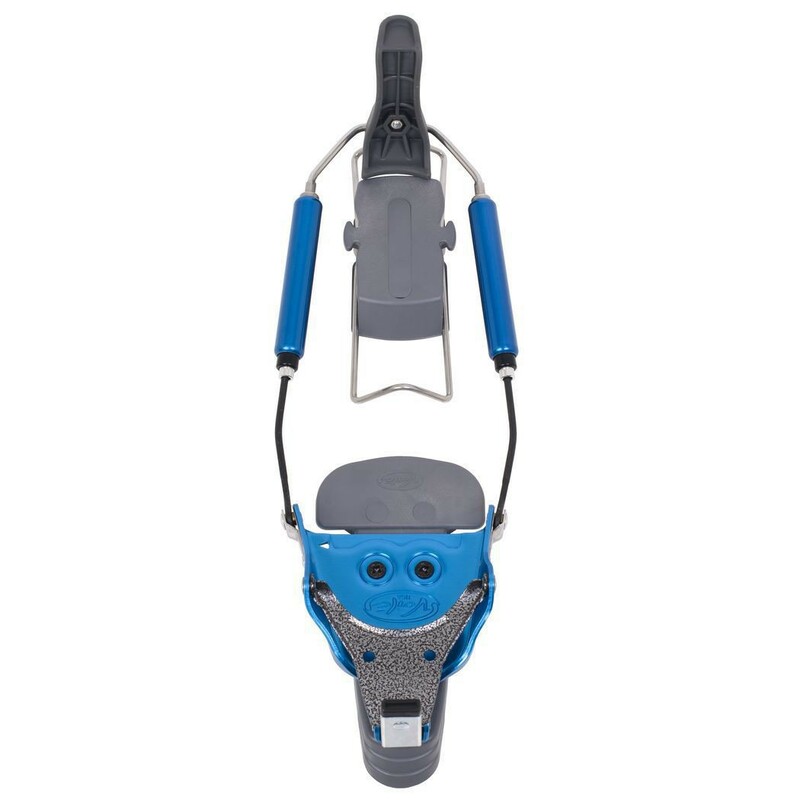 The riser platform is ramped to eliminate complications from the natural curve or "rocker" of a telemark boot. Other high performance design characteristics include a wide ball-of-foot platform riser and wide LP Heel platform for superior ski edge control. The V-120 riser has an industry standard 4-hole pattern in order to mount directly to skis with pre-installed threaded inserts. The wide LP Heel platform accepts our LP climbing wire for uphill ski touring. Unique to the LP Heel is recessed notches for the climbing wire to prevent bending when touring on steep traverses. Further details include an LP spacer to prevent excessive wear on the ski top-sheet from the pivoting climbing wire. The Hardwire 3-Pin is a uniquely versatile telemark binding with very desirable ski touring attributes. Boat sizes are for a general guideline. Actual sizes may vary with each boot manufacturer. Sole lenght is measured from the center of the middle pin hole to the back of the heel.